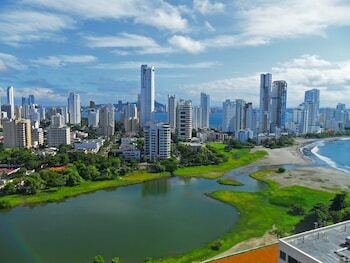 With a stay at this apartment in Cartagena, you'll be on the waterfront, just a 3-minute walk from Bocagrande Beach and 9 minutes by foot from Rio Cartagena Casino. Featured amenities include a 24-hour front desk and an elevator (lift). Free self parking is available onsite. With a stay at Hostal Marlyn Sai in Punta Hansa, you'll be a 1-minute walk from Johnny Cay and 6 minutes by foot from Punta Norte.